HomeGadgetsLifestyleJUNO Smart Mirror Seems Like an Actual Life Necessity for Beauty Lovers, Right? 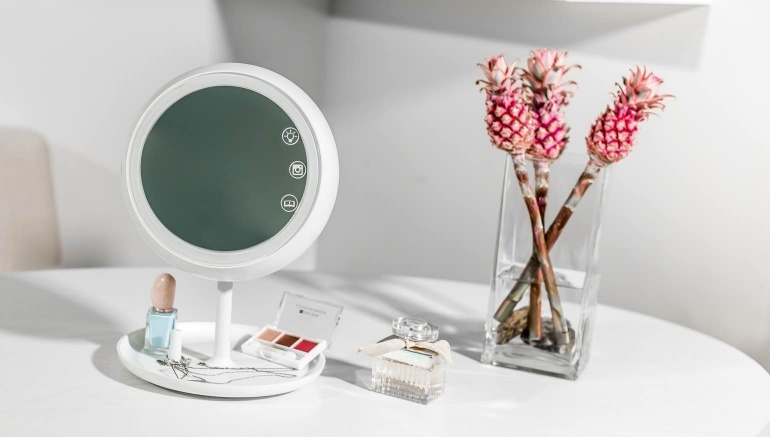 JUNO Smart Mirror Seems Like an Actual Life Necessity for Beauty Lovers, Right? Simulate Natural Sunlight, evening light, and daylight for precise makeup application along with perfect your selfie and makeup with auto-adjusted lighting. This smart mirror is what you've been waiting for! Meet the mirror that will change your life. The JUNO Mirror is the first smart mirror you can control from your phone, so that you can always have your makeup look on point. The JUNO Mirror, a smart vanity mirror designed for beauty and makeup wearers everywhere. Paired with a mobile app, you can control the JUNO Mirror to get the precise hue and light warmth you are looking for every time. Depending on the time of day and where you're headed, you can select the setting that best fits your needs and then start applying your makeup per usual. The JUNO Mirror is a lightweight and portable that can be easily disassembled. The features include a selfie / livestream mode. When activated, you can use the JUNO Mirror as your own personal lighting system to capture professional-looking photos and videos that replicate a state-of-the-art photo studio. 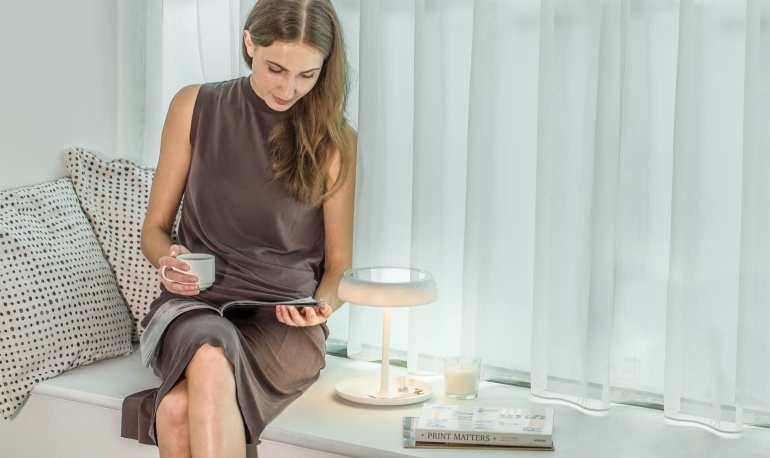 It also has a cord-free, rechargeable power source that lasts up to 1 week, adjustable reading light-flip mirror back to use as lamp, storage tray for make-up and jewelry. In addition, the smart mirror has a 5x magnification ability and comes with a handy storage tray to organize your makeup. Besides helping you with your makeup needs, this smart mirror can also serve as a reading light. Just turn it upwards with a flick of your wrist, and your reading light is ready all set. The fund-raising campaign of JUNO Smart Mirror is currently live at Kickstarter for a goal of $ 15,000 which got a fabulous response.